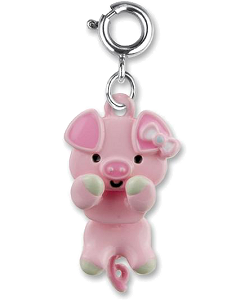 The adorable piggy on this CHARM IT! 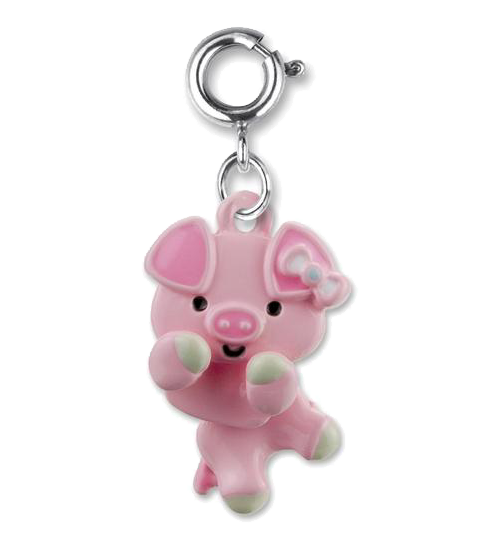 Pig Swivel Charm is so excited to bring piggy power to your charm bracelet, that she is wiggly and jiggly with anticipation. 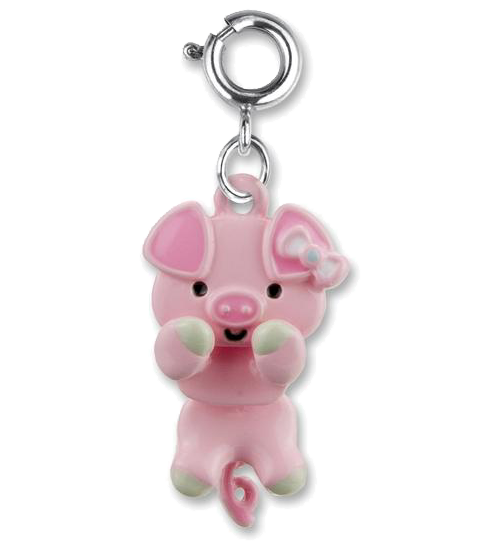 With a pink body, gray hooves, darker pink snout, and sweet bow, this delightful Pig charm has swivel links at her neck, tummy, and curly tail making her a fun and unique addition to your charm bracelets. With a simple snap of a clasp, you can personalize your CHARM IT! jewelry with this adorable CHARM IT! Pig Swivel charm.